It's National High Five Day. I just found out about this myself, but high five somebody today, especially if you're not on the East Coast and have more time to high-five. Now wait just a minute. How did it go in Vegas? Oh, geez! Right! I forgot to tell you about that, didn't I? Well, I hardly know where to begin. Maybe if you asked me some questions first? You taught a class, didn't you? Oh yeah. That was an adventure. I found out on Thursday while sitting in the Atlanta airport that the class I was slated to teach was reading Austen's Persuasion. Maybe I've already mentioned this. So we went out and snagged the book, and I made it my life for the weekend. Most of the weekend: one must make time for barbecue. But I read it through all the way, and it's a good thing I did: I learned on Monday morning that the class wasn't beginning the book but was ending it. This turned out to be a blessing, as I could ask larger questions about themes and techniques and build on what the students hopefully already knew. You know, I'm unsure what sort of confidentiality, if any, I would be prudent to observe and abide by... but let me say that it went very well. I had about ten pages of lecture and discussion questions and made it through about half of them; we filled the 55-minute period handily. Always overprepare. Resident wise man Tony over at Geneva Convention advocates that one "prepare less and teach more", which means that while there's a lot of worth in preparing lectures, that worth is really based in priming the teacher's mind for the kinds of sudden tangents and chance pursuits that an engaged class tends to provide. Prepare, overprepare, but then go where your students and your own inclinations lead you. OK, but I can't quite see you in this picture. Small half-circle of students, observing faculty behind them. I'm in a corner of the room, with a white board on one side and a chalkboard on the other. The chalkboard is primed with a chart: is Persuasion subversive or is Persuasion conservative? The white board has a large ring of characters' names. I range between the boards with my a dry erase marker in one hand, and when I call on a student I do so with my right hand, which has the text splayed open in it. A passerby, stopped in the hallway for a minute or two, would hear at least one laugh. It was. It re-lit something forceful in me. Well, again, everything is still pending, but it was rather pleasant. Sure, I had to be "on" all day, looking for ways to parlay what I was hearing and learning into an explanation of how I'd fit into X situation or solve Y educational need, and that's expectedly nerve-wracking. But the people with whom I spoke were delightful, really, and clearly keen on doing their work well. I'm sold on the place. The rest of the day passed with half-hour or 45-minute conversations with various instructors and administrators. And one killer lunchtime session with the Student Ambassadors. Killer as in, Wow, these kids are sharp and incredibly invested in their own education. See, this was lunchtime: I was having lunch with about 15 sophomores and juniors. I'd expected the conversation to be intermittent, allowing room for me to, you know, eat. Instead, it was one question after another. If I'd let myself relax at the start of lunch, I quickly got back into "on" mode. I felt the way a batter feels with a pitching machine that's been set on a surprising high setting - which felt even better because I was knocking back these pitches fairly firmly. Questions ran the gamut from the sorts of workloads I'd assign to my hobbies to the subject of my dissertation if I had to write it that second instead of years in the future. Post-postmodernism and contemporary poetics, of course. I'm sure that went over like a lead balloon. I know, it sounds contrived. But really, I didn't plan it. I brought the book as a sort of good-luck charm: so many of his poems take as their theme the notion of striding out west with a sense of bewildered possibility. So I read them two sentences of "Angels and the Bars of Manhattan", and with McGrath you have to realize that two sentences might go on for pages, with all manner of sonic texture and rhetorical flourish... it's a poetry that lends itself well to being read aloud. How did they like it? They liked it a great deal. So when will you hear back? Some more applications, lunch soon, unpacking, perhaps a poem, definitely some time in the weight room, and this new book Freddy and Fredericka by Mark Helprin, which 40 pages in is pretty good. How's your book coming, anyway? This interview is OVER. Hahaha, no, it's coming along. But no, seriously. Let's talk about that later. 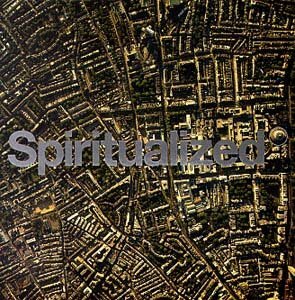 Spiritualized, Let It Come Down. British 90s druggy space-rock with gospel choirs singing backup. 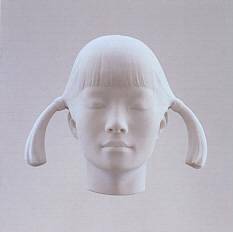 Spiritualized, Live at Royal Albert Hall, 10 October 1997. 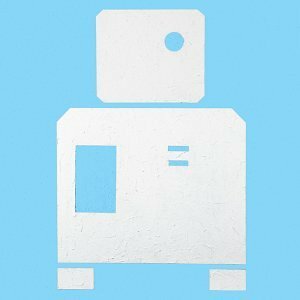 A two-disc sprawler of a live set. It occurs to me that this band's like a proto-Sigur Ros: grittier, bluesier, less likely to stargaze and sob. It's dense, difficult, soaring, and yet somehow religious. It's not easy to take in all at once. And just imagine if you'd been there. 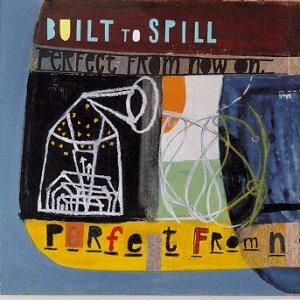 Built To Spill, Perfect From Now On. Ten songs at six-minutes apiece. Apparently each one's an epic of guitar fretwork. Haven't heard this one yet. But this band? They're dependable. "Going Against Your Mind," first track from their new disc You In Reverse, is just stellar. 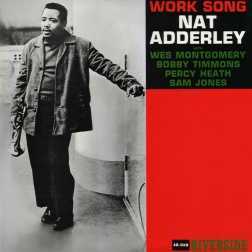 Brother of Julian "Cannonball" Adderley, who played on Miles Davis's Kind of Blue, Nat Adderley's big song is the title cut. Let's hear it for brothers getting time in the spotlight. 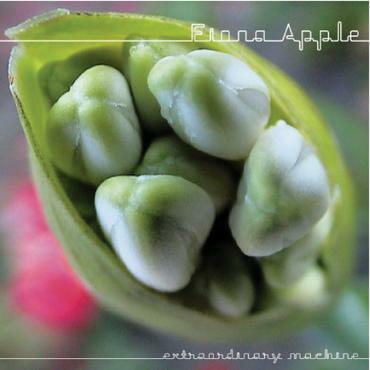 Fiona Apple, Extraordinary Machine. There's little I can say to expand on the critical praise this disc has rightfully garnered. I will however say that these melodies will snake into your subconscious with a quickness. Fans of Rufus Wainwright and Tori Amos, be on notice (and vice versa, too). "Be kind to me, or treat me mean / I'll make the most of it, I'm an extraordinary machine" - and the way the melody jumps through the "exTRAORD" syllables will make your shoulders just shudder with delight. The Bad Plus, These Are The Vistas. Hot goddamn is this disc fine. Piano, bass, drums: your standard jazz trio. Piano, bass, drums as played by these guys? Crazy good. It's innovative without studio magic or synths or anything else: just crack musicianship all the way through. I don't know enough about jazz to explain everything that I suspect they're doing, but I do know that there's a whole lot more to love here than the almost-famous covers of Nirvana's "Smells Like Teen Spirit" and Blondie's "Heart of Glass" - which are also fine. This is a picture I didn't take of me tossing Jane Austen's Persuasion up in the air on Jeremy and Liz's new sofa; you can tell from the one-raised-eyebrow museful smirk on my face that I've just finished reading the book in its entirety - 180 pages since 7:30 a.m. this morning. This is a picture from yesterday, when I'm diving into Liz and Jeremy's pool after a run that took me down past the Stratosphere on the Strip. I'm all sorts of exhilarated already. The pool water was maybe 70 degrees. A half-second after this was taken, I broke the surface and was heard to exclaim "Sweet Mother of God!" Greg Louganis! This is a picture of Jeremy and I mid-stride as we cross Fremont Street beneath the lasers of the Fremont Street Experience. These are our going-out jackets. Mine is Jeremy's: a slick form-fitting number made of suede, I think. His is purple velour: a smoking jacket that Hugh Hefner, were he to pass us on the street, would notice and offer a passing compliment about. You can tell by my wild-eyed, mid-sentence expression and Jeremy's vaguely disdainful look that we're badly in need of food. This is a picture I didn't take of Jeremy, Liz, myself, Mike, and Jen in the family room as the sun came over the rear fence and through the sunroom to fill the family room with the generous effects of a warm, windy April night. Clearly, from the way Jeremy, Mike and I are learning forward and high-fiving each other, you can tell that that we're reminiscing, thoroughly, about the names of first- and second-generation G.I. Joes (Duke, Scarlet, Lady Jaye, Flint, Gung-Ho, etc.) and classic NES games (Bubble Bobble, Contra, Super C, Blades of Steel). You'd be right to conclude from the way that Liz and Jen are sitting with their fists in their cheeks looking askance that they are less than fascinated with these minutiae. This is a picture I didn't take of myself this morning as I sat reading in the half-shade of the pomegranate tree which overhangs the pool. It looks as though I'm oblivious to the commuter plane - a Ted flight - which sits hugely over my head as it comes in for a landing, but I'm not. It's just that by this point in the morning I've seen like six flights land, and I'm used to them. This is a picture I didn't know was being taken of me as I leaned over the Hoover Dam this afternoon. I'm leaning over the open-space side. You can see the dozens of transmission towers on both sides of the abyss. The larger guy wires indicate where the new bridge is going to go sometime before 2008, when it's scheduled to be finished. My eyes are closed because all of the wind from the river valley is shunting together and flying up the dam into my face, and that, when coupled with the perspective of the very small industrial complex far below and the stippled patterns of the rocks, produces the sort of calm that makes you feel you don't need the use of your eyes to understand where you are or feel the scale of what's happening.